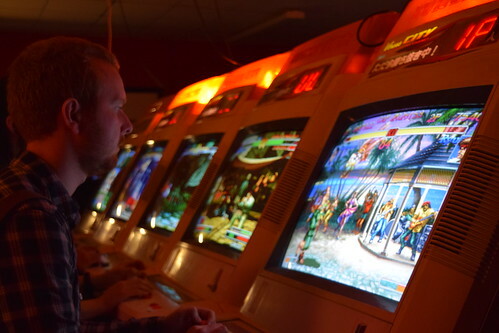 Last weekend I made another long overdue visit to The Heart Of Gaming. 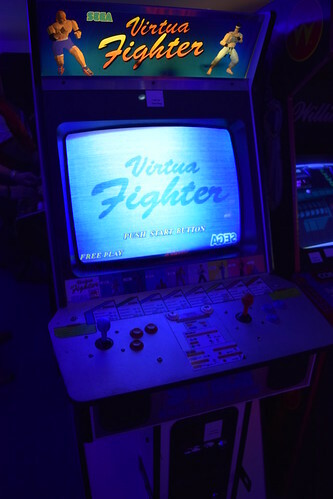 The arcade has a nice selection of fighters and a tournament was in full swing. 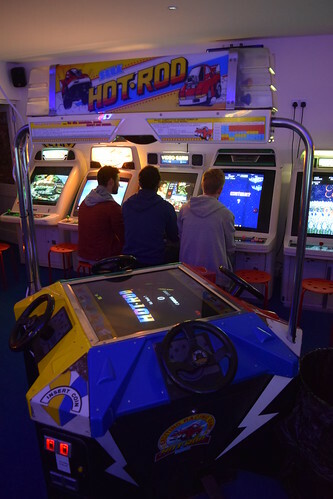 Other games include Daytona USA, Donkey Kong, Ikaruga, Pac-Man, Strikers 1945 Part II, The House of the Dead and Time Crisis II. 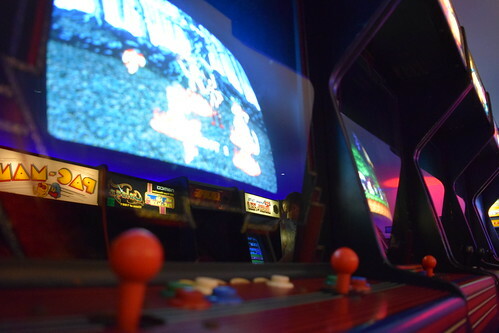 The arcade also features dance machines and a room dedicated to console gaming. 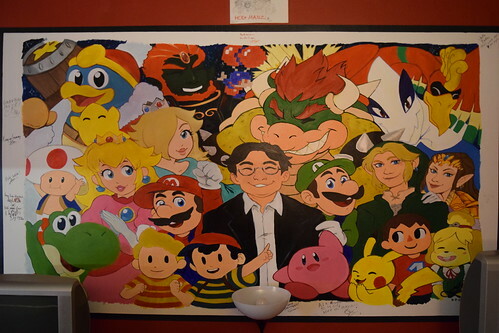 For me though it was all about this game. 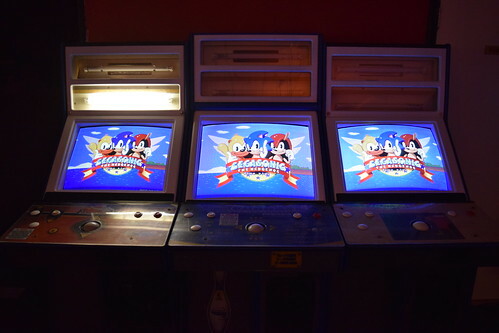 SegaSonic the Hedgehog is a three player isometric platform game, developed by AM3 and released in 1993 on Sega System 32 hardware. 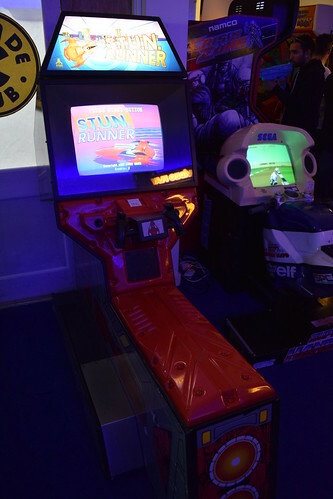 The game had a very limited UK release, appearing only in Sega branded arcades, including Trocedero and Hamleys toy shop basement arcade. 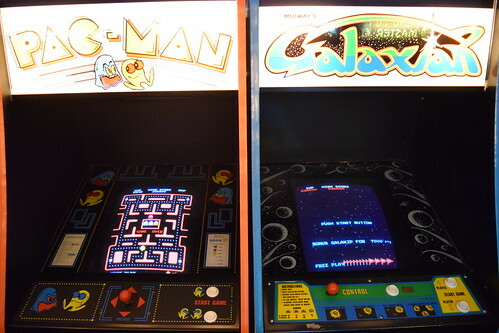 However I never came across a machine and this became one of my biggest gaming regrets. 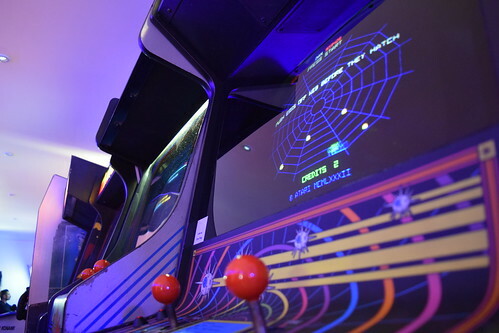 There has never been a home console conversion due to the trackball control. When I heard that The HoG were getting the game I had to come and visit! 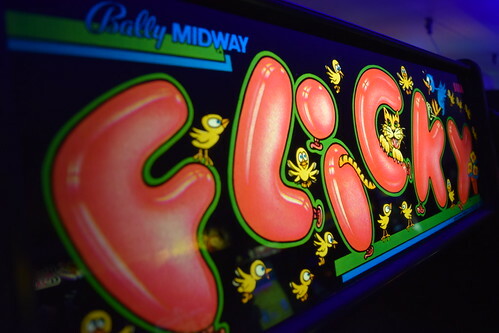 Electrocoin bowling arcade machines have been used, allowing each player to have their own screen. 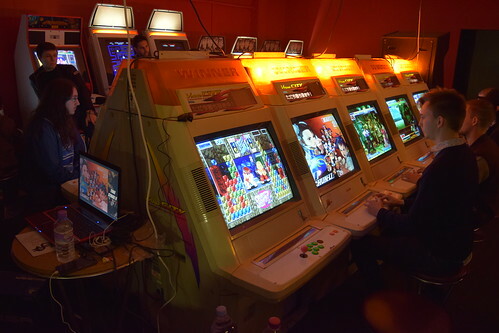 The game is great fun, with impressive visuals and nice variety between stages. Here is a one credit video of the game. 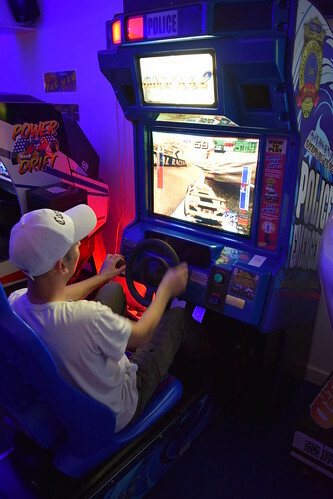 Whilst holidaying up North at Todber Valley, Lancashire, we made our second visit to Arcade Club. 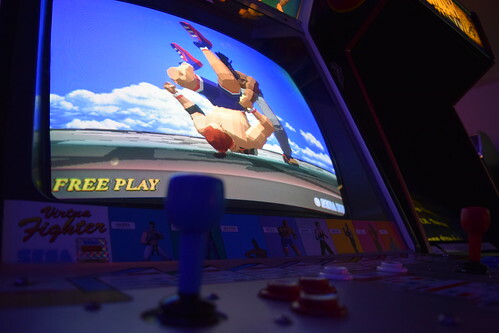 Once again we had an awesome time and it was great seeing some new additions to the arcade. 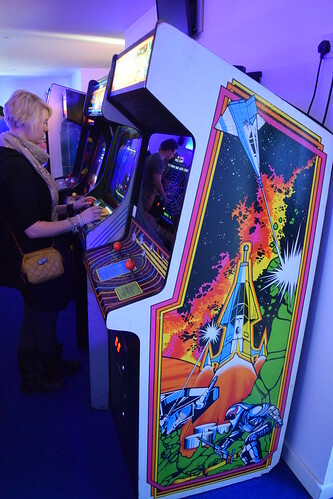 Here are some of my gaming highlights. On my last visit the cabinet movement wasn’t working, but on this occasion it was fully operational. 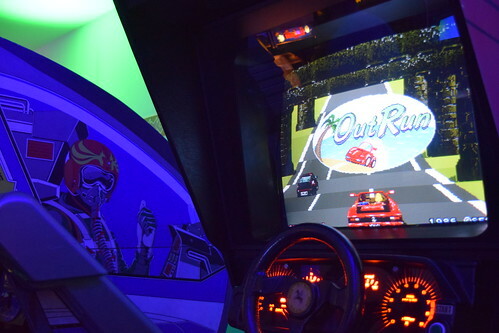 A very cool cab and a great gaming experience, although it was a little bit of a squeeze getting inside the cockpit! 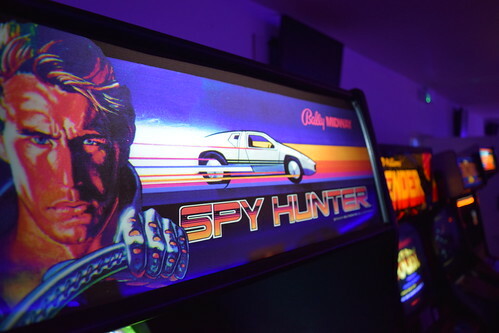 An awesome new addition, this game is loads of fun. This time I made it to the fourth stage, pursuing a truck which had the advantage of a huge missile launcher on its trailer. 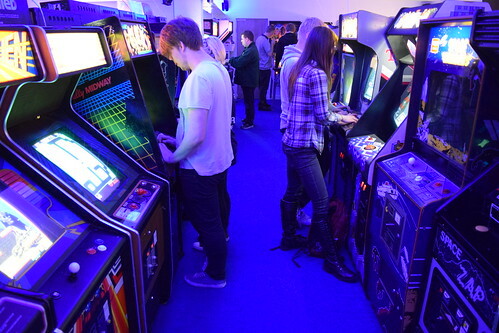 It was nice to see the game proving popular with the arcade goers. 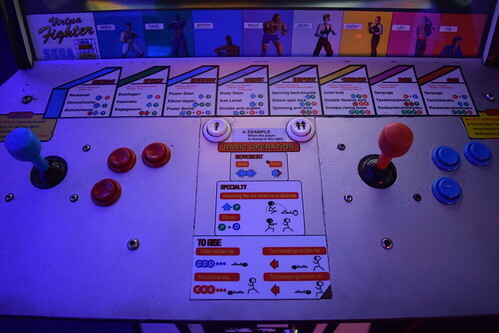 The first time I’ve seen / played this fun and addictive Sega game from 1984. 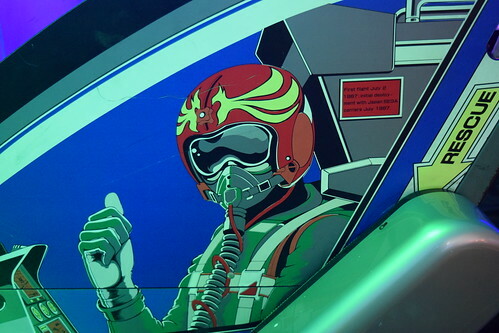 This was again a firm favourite, with my daughter still humming the tune weeks later! 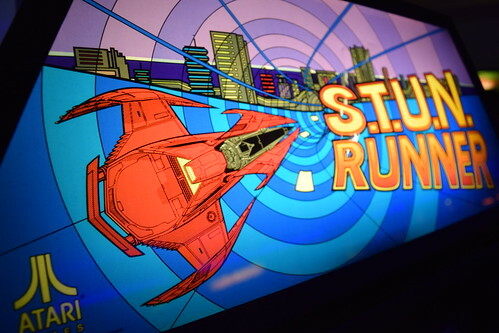 Released by Atari in 1989, I don’t recall seeing this futuristic racer / shooter before. 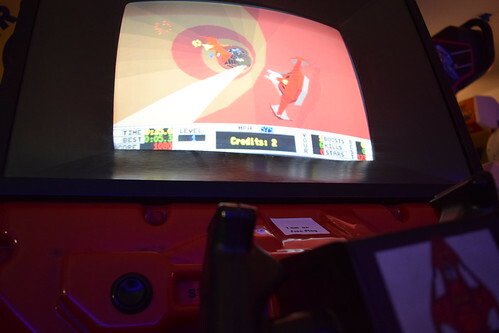 Like Hard Drivin’ released the same year, Atari was well ahead of its time with polygon graphics. 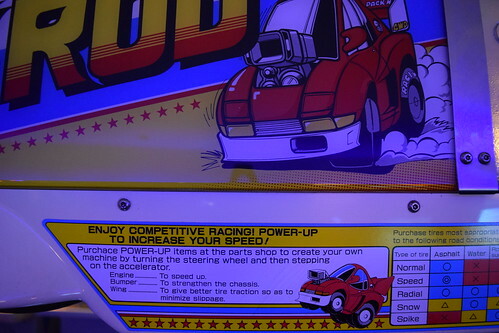 Very cool cab and great fun. 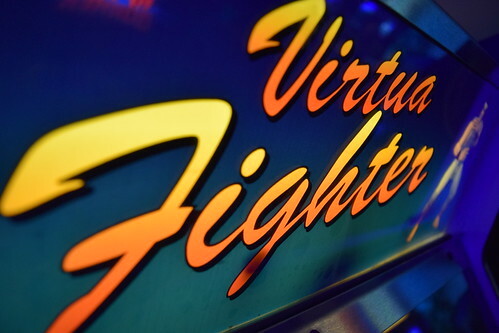 Developed by AM2 and released in 1993 on Model 1 hardware, Virtua Fighter is important in gaming history as the first 3-D fighter. 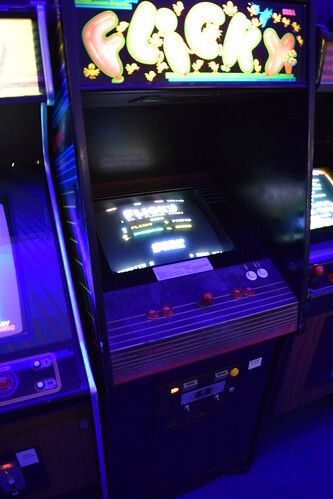 Whereas Sega’s Model 2 games can still be found in arcades, Model 1 games have all but disappeared. 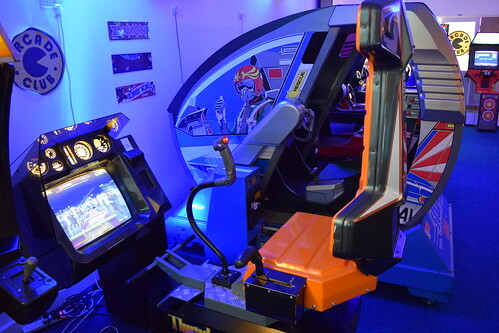 The last Model 1 game I saw was Virtua Racing at The TonTon Club, Amsterdam. 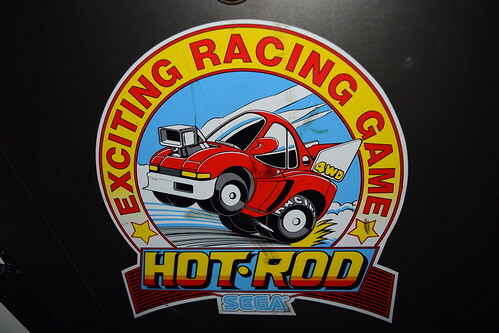 I love the distinctive look of Model 1 powered graphics and the stylish polygon characters. 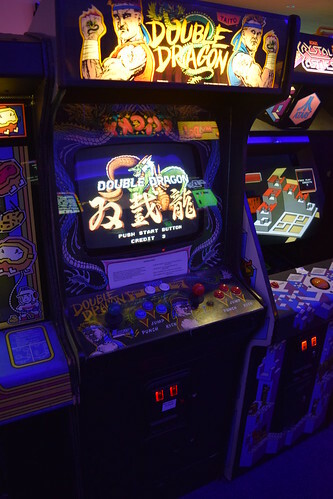 There was an awesome line up in the Electrocoin cabinets, including Pac-Land, Kung-Fu Master, Golden Axe, Ghouls’N Ghosts and Final Fight. 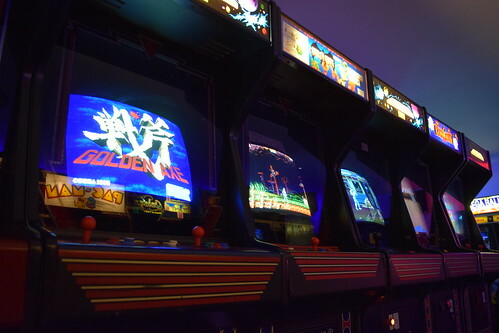 A video and some more pics of Arcade Club. 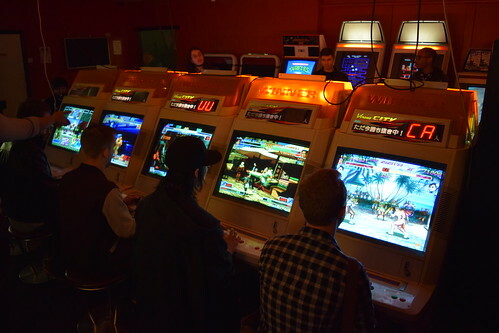 Arcade Club gets pretty busy, especially on Saturday night, and the video was recorded just before closing time on Sunday.